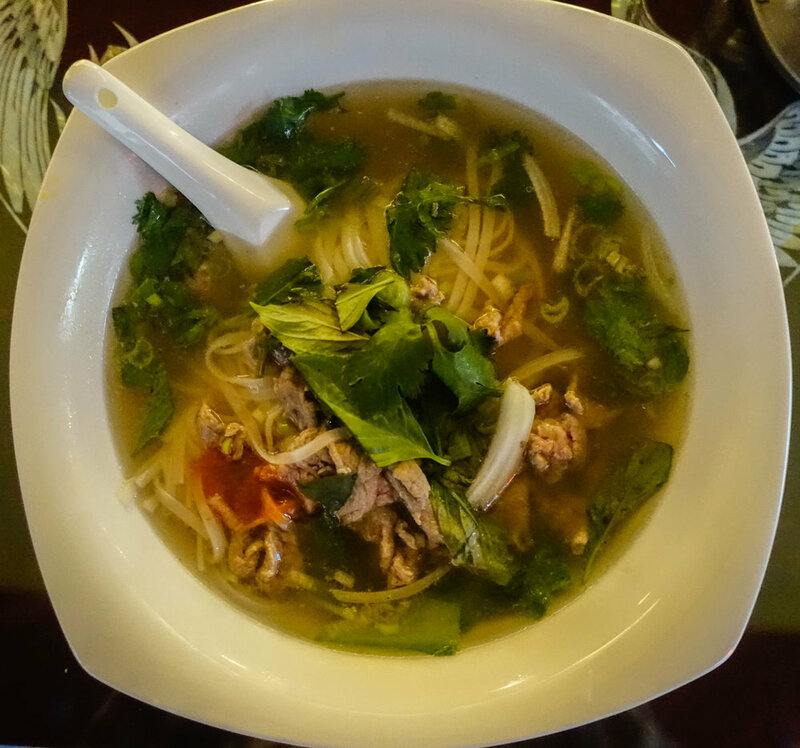 review: Asia-Wokman Vietnam-Thai-Sushibar Salzburg — Happily Fed with Memories & Co.
One thing other restaurants should learn from „Asia Wok-Man Vietnam-Thai-Sushibar“ is how uncomplicated the name is. Not only is it Google friendly but also everyone can guess what the restaurant offers. When stepping in, I am confronted with an empty counter that displays - thanks to a yellow poster - all varieties of sushi. I tried to read but, was distracted by the clanging of the wok and the savoury smoke coming from the open kitchen. „Depressive“ was also my first impression on that day. Lively streets that were emptied by the rain. The grey sky darkened the dimly lit restaurant.Only handful of diners. Why did I even get up this morning? When seated, I was presented the menu but forgotten for a while. Though, the owner made up for the lost time with her incredible hospitality. In fact, her smile brightened my day, which made me grin too. The fresh spring rolls were served with a side of peanut sauce. Despite the dissimilarity in sizes and shapes, they were surprisingly tasty. The first bite burst with the crunchiness, freshness and herbal fragrance that was well complemented by the thin sauce. Soon, my Pho arrived. It was one of the largest portions of my life. The Pho was so deeply flavoured that any additional lime juice would imbalance the perfection of the soup ( Siracha was the exception). The beef was incredibly tender, and so was the rice noodle which also had a very edible shape. All in all, an excellent and lush dining experience that certainly reminded me of why I got up this morning. In summary, Asia Wok-Man Vietnam-Thai-Sushibar (oh boy is the name long) had blown my, rather low, expectations. Even when the restaurant is located in a shady area of town, genuine hospitality and good food are always a reason to go.